Bence Mt won the 2010 Veolia Environnement wildlife photographer of the year award. 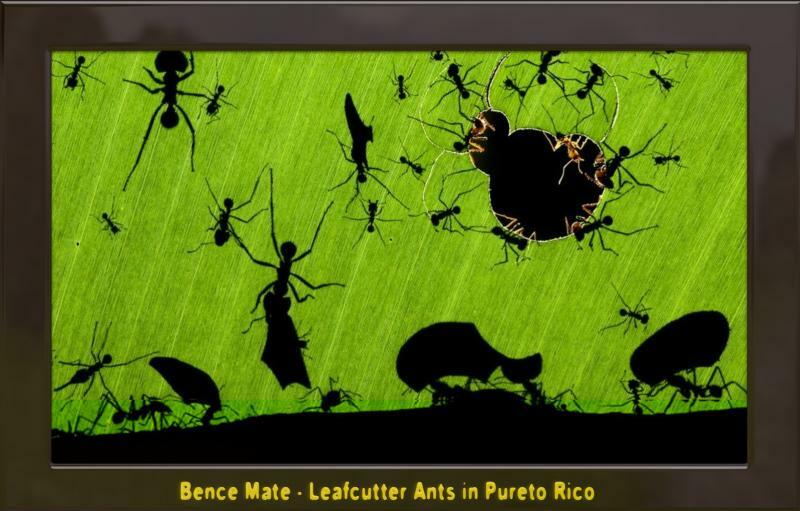 He illuminated the back side of a leaf to get this silhouetted shot of ants in the rainforest. Mr. Mt named his photograph "A Marvel of Ants."